The Winsor & Newton range of Galeria Acrylic Paper has been specifically designed for use with all acrylic colours and mediums. Galeria Acrylic papers are made from 100% acid free, mould-made paper for stability and resistance to ageing. It is both internally and externally sized to provide maximum colour brilliance. 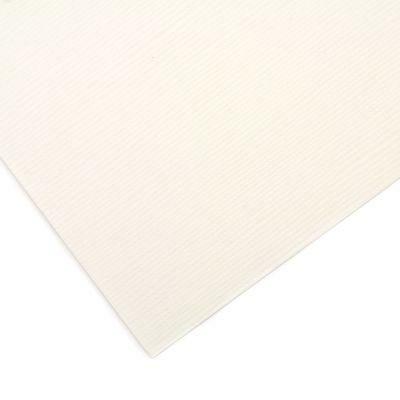 The paper is 300gsm/140lb and has been embossed to produce a ‘canvas-like’ texture. The paper itself is 100% acid free, ensuring it will not discolour or embrittle. Paper is supplied in a pack of 5 full imperial sheets (22" x 30") or can be cut into 1/2 or 1/4 at no extra charge. Click on Size Option tab above for more information on pack sizes. Galeria Paper reflects high quality acrylic products at a uniform affordable price. It is a canvas textured paper developed specifically by Winsor & Newton for painting in acrylics. It is popular for those sketching both outdoors and in the studio and for those artists who prefer using paper to canvas. Unlike other acrylic papers on the market, Galeria is made from the highest quality woodfree fibre, guaranteeing an acid free product. The paper is buffered, mould-made and the weight is 140lb. Galeria is both internally and externally sized for colour brilliance and is supplied in a selection of pads and loose sheet paper. Galeria paper can be used for oil painting provided it has been primed with one or two thin coats of Acrylic Gesso Primer.